Spring has sprung around Gainesville. 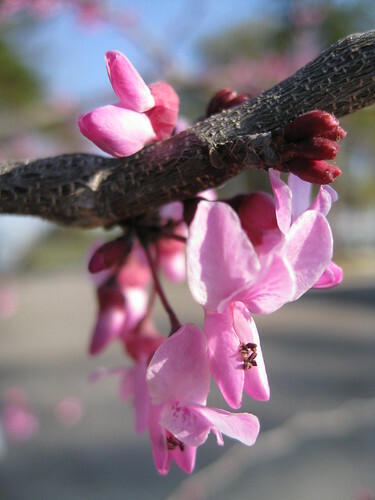 The redbuds, dogwoods, and azaleas are all in full bloom. This is one the two redbud trees outside our office. Interestingly, its sister tree hasn't started blooming yet.